National police officers have rescued a 2-year-old girl who was being held by her father at knifepoint. The incident took place in Orihuela last Wednesday morning. The girl’s mother and partner of the knife-wielding man alerted emergency services at around 7.30am telling them she was being physically attacked at home by her partner who was also holding their daughter at knifepoint. 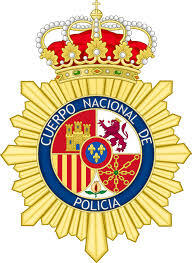 Six National Police officers found the 37-year-old Spaniard nervously grabbing the girl with one hand while holding a large knife in the other. A struggle took place, which resulted in three policemen being injured. The aggressor was subdued and subsequently arrested and remanded in custody. Luckily, the little girl was not physically harmed.